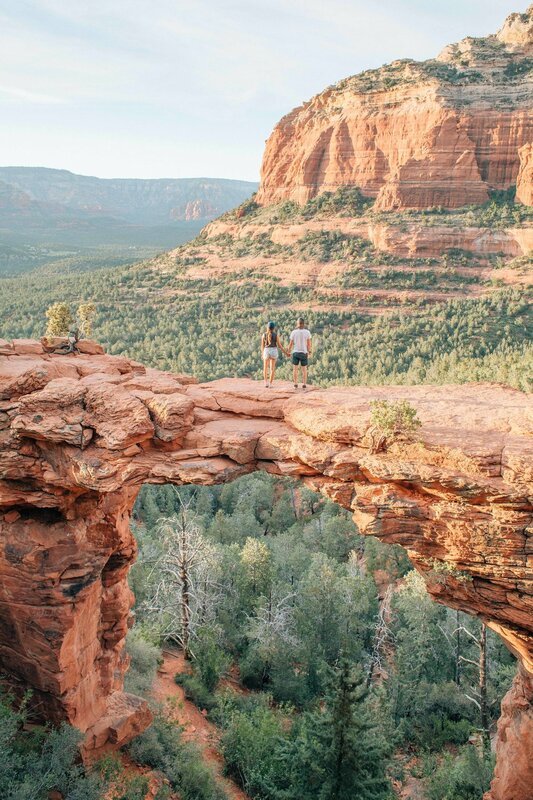 On our way from Monument Valley to Tucson, we stopped in Sedona for the day and had just enough time to eat at the most delicious hippie vibe cafe and catch sunset at Devil's Bridge. You drive up to the entrance, walk about a mile to get to the trail head and then walk another mile up to get to Devil's bridge. It's much scarier than it looks once you finally make your way to the center of the bridge.